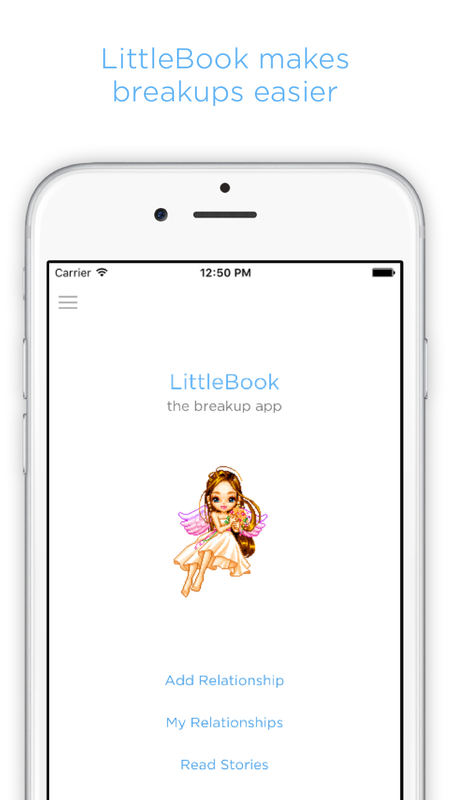 [prMac.com] London, United Kingdom - LittleQuest Limited today is proud to announce the worldwide launch of LittleBook - The Breakup App 1.0.10 for both iOS and Android. Based on science, LittleBook is a relationship journal app designed to make breakups easier by helping people understand their relationships and giving them a safe place to put past partners, so they can stop carrying around painful memories. LittleBook users can also anonymously read shared stories and share any chapter they write with other users. Breakups are one of the most painful and difficult things people experience. LittleQuest's survey, which sampled over eleven thousand relationships, found 59% of respondents rated their breakups 8 or higher on a 10-point pain scale (with 10 being the most painful). In fact, scientists have reported that under an MRI scanner, the brains of the heartbroken people resemble the brains of those experiencing cocaine withdrawal. A 2015 study published in Social Psychological and Personality Science found "reflecting on a recent breakup can help speed the healing process." The discovery was answering questions helped people better process their breakup and develop a stronger sense of independence and self. "That process of feeling complete again, and regaining what you had to let go, is really healthy and drives recovery," the researcher Larson said. One key approach leveraged by LittleBook is summarised by Lauren Howe on The Atlantic: "The stories we tell ourselves about rejection ... can shape how, and how well, we cope with it. Previous research has illustrated the importance of storytelling in other realms - for example, recovering alcoholics who told redemptive stories in which they learned something from their suffering were more likely to maintain sobriety... Narratives that explained pivotal decisions (including getting married or divorced, and changing jobs) as moving toward a desired future, rather than escaping an undesirable past, were associated with higher life satisfaction." LittleBook was created to help people find meaning, relieve emotional pain, and shorten the recovery journey. By answering questions backed by research and designed by experts, users gain closure and end up with stories that help them see their experiences from a calmer, healthier perspective. LittleBook asks users questions about their relationship to facilitate understanding, rebuild self-image, and lay the groundwork for moving on. The app also leverages research by Dr. Lewandowski, who showed writing with a focus on the positive aspects of the break-up helps to revive the self and emotionally recover. "Psychologically, we know that writing about events helps people understand the event more clearly," he says. "In the case of break-up, these writing prompts force people to think about break-up in a way that most people don't. Rather than the more typical experience of wallowing in sadness and ruminating on the negative aspects, these prompts encourage people to focus the good things (and there are always some)," explains Dr. Lewandowski. After answering all the questions, the user is given breakup advice and her "story," stitched from her own answers and always editable. Professor Pennebaker at The University of Texas points out the act of expressing trauma has been part of healing for virtually all cultures, ranging from Native American indigenous cultures to those based on Western and Eastern religious beliefs. He advises, "People who are able to construct a story, to build some kind of narrative ... seem to benefit more than those who don't." Psychologists found "the more complete the [users'] accounts about why the relationship ended, the more they felt that the relationships were over and that they had control over their recovery processes." LittleBook encourages users to continue to add details to and edit their stories, especially when they have the "craving" to initiate after-breakup contact, which is disruptive to the healing process. In fact, Dr. Pennebaker discovered those who had worked over several days to develop a more structured story seemed to benefit the most. LittleBook makes forgetting is easier too: Early beta users felt less guilty about and became more receptive to forgetting because they knew their stories would always be there, never lost. After all has been written, there's nothing more to carry. The only thing left is to begin to move on. The app not only helps users gain closure, but also helps them feel connected in some way to their past loves. One early beta user reports finding it especially comforting to be able to revisit loving memories of her ex, like in a "glass menagerie" and to feel the closeness her previous relationship even though it ended. Users can keep multiple relationships in LittleBook as chapters to gain an overview of their love journey. LittleBook will always be available, so users can safely delete the app when they feel better. Re-download it later with chapters intact whenever needed. All data are private by default. One more thing. LittleBook has group therapy: Users can anonymously read shared stories and share any chapter they write with other users, who may learn from those experiences and feel less alone. 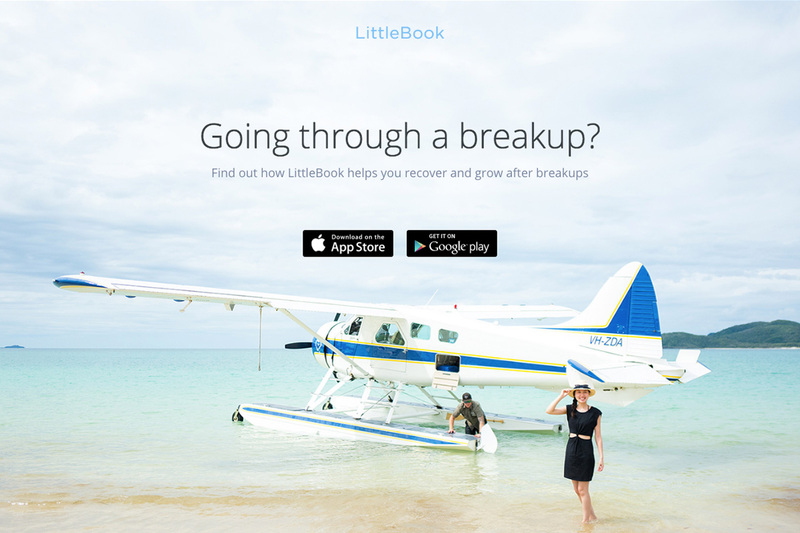 LittleBook - The Breakup App 1.0.10 is $1.99 (USD) and available worldwide through the Apple App Store and Google Play Store in the Health and Fitness category. LittleQuest Limited is a mobile software development company based in London, United Kingdom. The company is focused on apps that promote both personal and social improvement. All Material and Software (C) Copyright 2016 LittleQuest Limited. All Rights Reserved. Apple, the Apple logo, iPhone, iPod and iPad are registered trademarks of Apple Inc. in the U.S. and/or other countries. Other trademarks and registered trademarks may be the property of their respective owners.